Styropanel is a lightweight styrene foam concrete wall panel faced with a cement sheet each side. It has a load bearing capacity and very smooth face surfaces. It can be used in domestic and commercial applications. it has a high surface "toughness" good STC and FRL ratings. 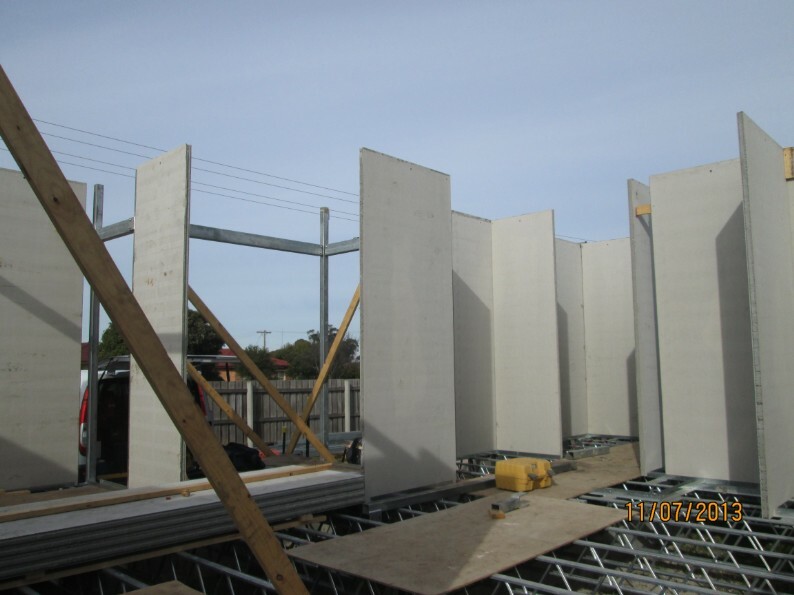 The picture below shows 100 thick styropanels as external load bearing walls and 50mm thick panels for internal walls.